Yearly calendar will help you to navigate all the courses running, month wise and you can book your seat from this section. 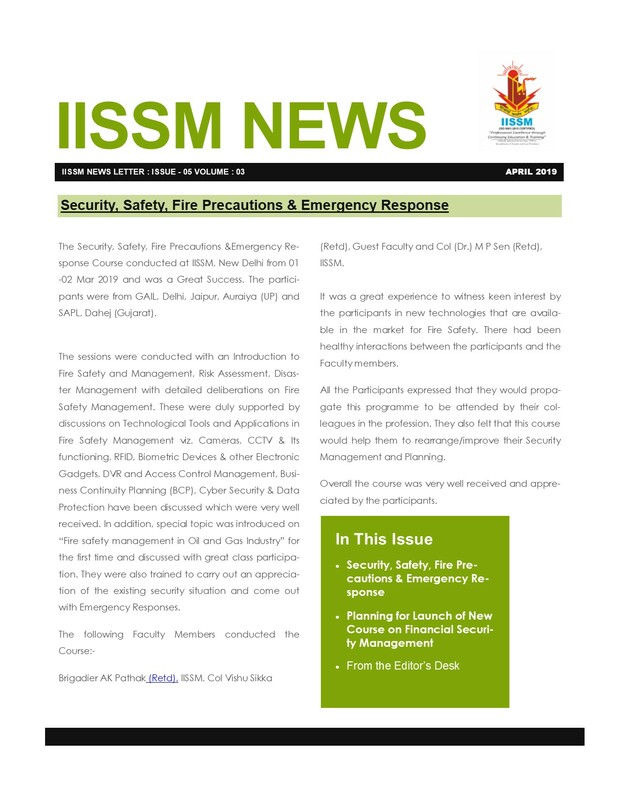 Be a Member of IISSM and join the elite group of professionals in the fields of security safety fire and loss prevention and help promote your business to greater heights through your business to greater heights through enhancing professional knowledge and networking. Training and Development is important for organization which helps in developing leadership skills, motivation, loyalty, better attitudes, and other aspects that successful workers and managers usually display. It also helps in increasing the productivity of the employees that helps the organization further to achieve its long-term goal by providing employee efficiency and productivity. We deliver highly qualified and diverse candidates, the best of the best. These include security leaders who respond to challenging issues and direct programs in complex environments, experienced investigators with an array of specialized capabilities, and financial professionals. Security till late 70’s only meant high walls and strong gates. Security was considered chowkidari or in most of the cases “watch and ward”. 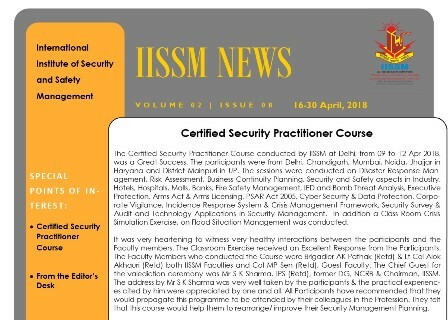 Till late 80’s or even till mid 90’s Security services was considered as a “necessary evil” by the management.